Whimwed definitely made me feel as if I was their only customer! They were very eager to fulfill my vision and did an excellent job! WhimWed did an extraordinary job for our wedding!! They made our wedding wreaths, bridal hair piece, flower wrap, and garter! Everything was absolutely beautiful!!!! We would recommend them to anyone!!! I found Whimwed handcrafted products to be of high quality. They are creative, unique and long lasting. I would not hesitate to recommend it to others. 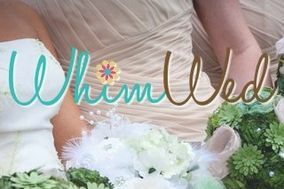 Loved the bouquet I received from whim wedd! It was exactly what I was looking for. Can't wait!